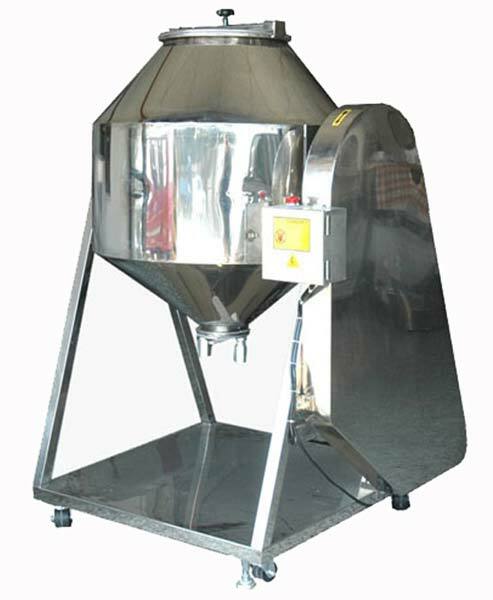 Powder Mixer on offer is available in an assortment of specifications. The excellent material used in manufacturing is of top class quality. The manufacturing process is carried out by a team of skilled professionals who put their utmost efforts to ensure they produce the best possible quality. Nishi Techno – Sys offering Powder Batch Mixer offers 100 percent uniform particle distribution, 100 percent uniform liquid coatings, the fastest cycle times, gentle product handling, the lowest energy consumption per pound of blended product per hour, and Mixers complete discharge with no segregation of blended products. Proprietary internal mixing flights create the forward & reverse blending action. The gravity driven process produces a rapid, thorough blend while imparting minimal energy and intensity to the product. This kind of batch mixer give excellent blending quality. Continuous rotation gives blending cycle assures that all materials remain in motion and prevents segregation in batches of varying material densities. Pan Diameter 5.5 ft. 4.5 ft. 3.5 ft.
Batch Capacity 300kg. 200kg. 100kg.